PHOENIX (AP) — A man who likely died from exposure while stranded in Arizona might have survived if he had not rejected rescue efforts because he was afraid of being arrested, authorities said Tuesday. Ryan Long, 38, died several days after authorities found his friend, Reelaiah Ahasteen, 35, in another location in snowy and muddy conditions, Coconino County sheriff's officials said. The two had left Meteor Crater, a popular tourist site east of Flagstaff, on March 7 when their vehicle got stuck, authorities said, citing information from Ahasteen's mother. She tried to locate them and then notified authorities when she couldn't. A deputy was able to contact Long on his cellphone, but he refused to give any details about his location. "There were some general statements that he did not want or need our help and then he hung up," sheriff's spokesman Rex Gilliland said. Deputies said they later learned that Long believed he might have an arrest warrant and wanted to avoid law enforcement. "Clearly had he not made the decisions to avoid us, we would have found him Friday afternoon with her," Gilliland said. Long was found with two substances that are believed to be marijuana and methamphetamine, Gilliland said. The sheriff's office said Long of Leupp has had run-ins with authorities in the past, but it could not find any active warrants for him. Searchers found Ahasteen suffering from hypothermia on a forest road the day after she and Long got stranded. She was treated and released. Air and ground search teams spent the next three days looking for signs of Long or his car. On March 11, search and rescue volunteers found his body off a forest road just 2 miles (3 kilometers) from the spot where his friend had been rescued. 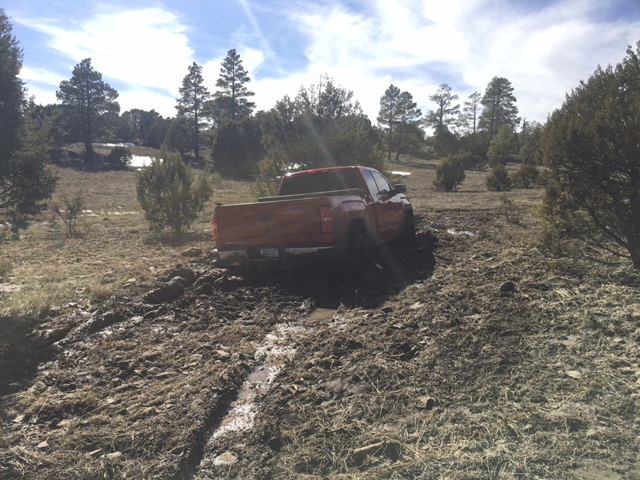 His footprints indicated he had been avoiding any roads, deputies said. His cause of death is pending, but deputies believe he died from exposure to cold temperatures. Family members told deputies that Long had sustained a traumatic brain injury in the past.